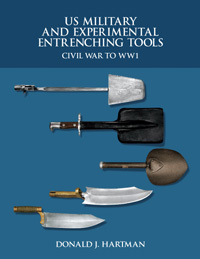 We are proud to announce our new publication, US Military and Experimental Entrenching Tools: Civil War to WW1. Though many collectors have a working knowledge of these entrenching tools and bayonets, few know all the interesting details of these colorful tools and blades. 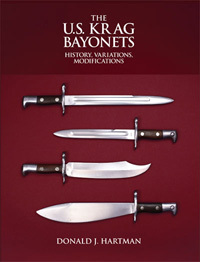 Become an advanced collector by reading the full story of these popular entrenching tools and bayonet-scabbard combinations. Forty years of collecting and ten years of intensive research have produced these thorough, accurate and fully documented studies.